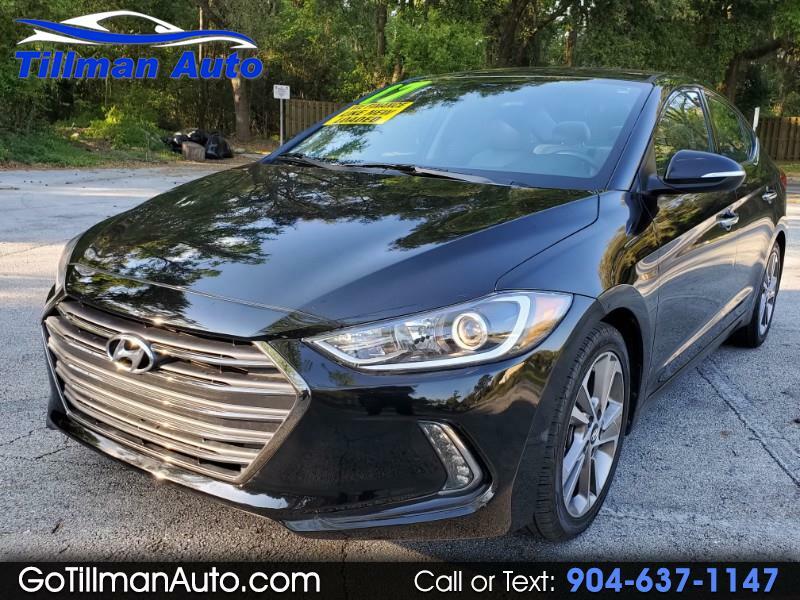 BEST DEAL AROUND for a comparable Hyundai Elantra Limited. This beautiful sedan is well-equipped and very clean inside and out. Sleek black exterior with Alloy Wheels and Leather-Trimmed Beige Interior in great condition. Heated Front Seats. Power Driver Seat with Power Lumbar Control. Steering Wheel Mounted Controls for Cruise, Audio and Hands-Free Phone. Back-Up Camera and Large Full-Color Media Screen loaded with Technology features such as Apply Car Play, Android Auto, Blue Link and Sirius XM Radio. Bring your draft or approval from your own bank or credit union. OR.... let us work out the financing options for you. We offer excellent financing options for all credit types. Text or Call us today for more information.